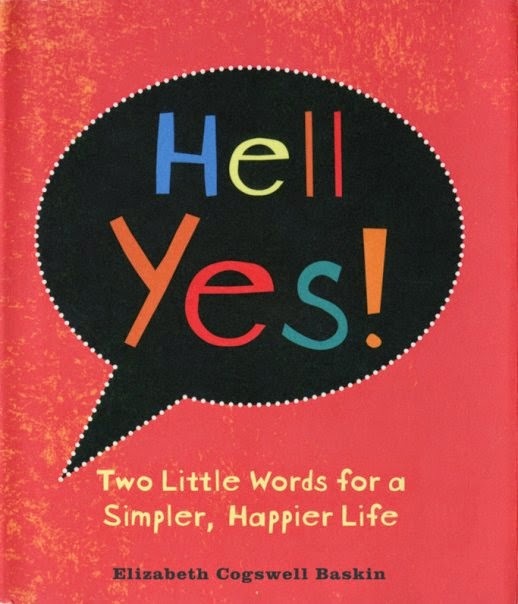 When making a decision, ask yourself if the answer to making a particular choice is a "Hell, Yes!". These two little words will keep you on your true path. Because your true path is marked by the things that light you up. These are two little words for a simpler, happier life...swiftly and completely cutting away anything in the gray area. If it's not a clear "Hell, Yes! ", then you don't have to figure out what else it could be. You don't have to weigh out the pros and cons of the maybe. Because if it's not a "Hell, Yes! ", then it's a "Hell, No!" It's that simple.